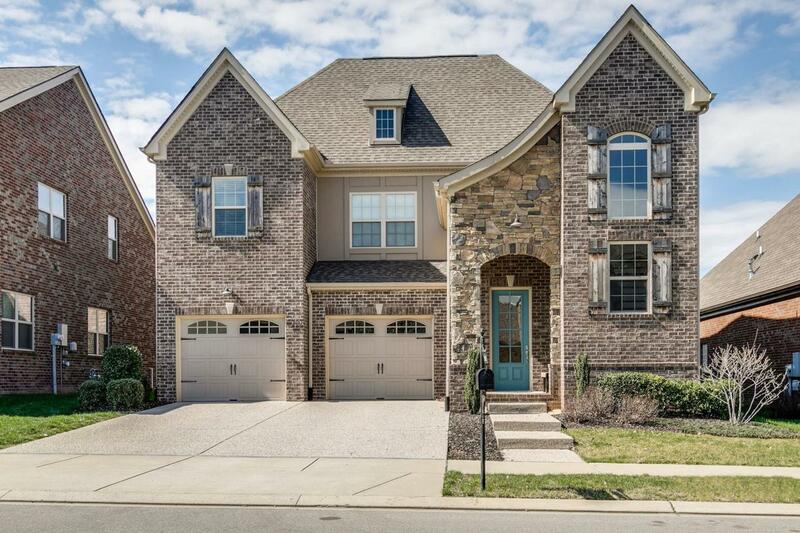 5007 Rizer Point Dr, Franklin, TN 37064 (MLS #2016050) :: Maples Realty and Auction Co.
DONT MISS AN OPPORTUNITY TO OWN A 5BR HOME UNDER 600K IN FRANKLIN. THIS HOME BOASTS WITH UPGRADES! KITCHEN FEATURES BEAUTIFUL CABINETS, GRANITE, SS APPLIANCES, EXPANSIVE ISLAND, BUILT IN HOMEWORK NOOK,OPEN TO EAT IN DINING AND FAMILY ROOM. DOWNSTAIRS MASTER, MUSIC/FLEX RM, 3 COVERED PORCHES, GORGEOUS CURB APPEAL. COMMUNITY CANOE LAUNCH! Offered by Marcoma Realty, Inc.. Copyright 2019 RealTracs, Inc. Information Is Believed To Be Accurate But Not Guaranteed.